Windows Phone 7 proved a lifeline for Nokia and the announcement of Windows 8, alongside the Lumia 820 and 920, made the future look bright. Then, all of a sudden, HTC want to join the Microsoft mobile party, bringing James Corden as its +1. Having already released the Radar, Pro 7 and Titan, HTC certainly know what they’re doing with the Windows mobile offering so I was intrigued to see how it planned to differentiate itself from Nokia. The 8X is everything I look for in a smartphone, durable, different, practical and eye-catching. The rubberised back is prone to scuffing and marking but who cares, it’s colourful and looks nowhere near as bad as a scratch on a metal, plastic or glass cover. The rubber is not only comfortable to hold in your hand, it also improves grip, even if your hands perspire more than a pig doing star jumps in a sauna. The slightly convex Gorilla Glass casing over the screen is very similar to that of the Lumia series but works just as well here, accompanied by the back, home and search buttons across the bottom. Along the top you’ll find a front facing camera (more on that later) and the ear grille, which also houses a neat little led that lights up when charging. As for the edges of the device, an earphone jack and on/off/lock/unlock button are all you’ll find along the top. The left side is bare and the bottom is only interrupted by the MicroUSB slot, smack bang in the middle. The right hand side is where it’s all happening, the MicroSIM slot, volume control and camera button are all located on this edge of the handset. The 4.3 inch S-LCD2 screen, also found on the HTC One X, is certainly bright but despite boasting better pixel density than the Galaxy S3, iPhone 5 and Lumia 920, it just isn’t that stunning. I’m not sure if it was an isolated incident, I did tweet about it and had a few people respond saying they hadn’t had a similar issue, but the screen on my 8X did seem prone to flickering. Eventually it put me off using the phone at night, for fear of that thing from The Ring crawling out of the display. Whilst the, rectangular screen is perfect for Windows Phone 8 and the live tile format in portrait, it isn’t what I prefer for watching movies or other media when in landscape. The 1.5 GHz dual core processor and Qualcomm MSM8960 Snapdragon chipset give this handset as much punch as a concrete fisted Mike Tyson. The inclusion of Beats Audio was a big pull for me, alas there are no Beats earphones as with some other previous handsets. Whilst there is a distinct difference between the audio quality when Beats is turned on or off, if seems to me to just be, primarily, a volume boost. The 8MP rear snapper, capable of capturing 1080p HD video, is a particular highlight. 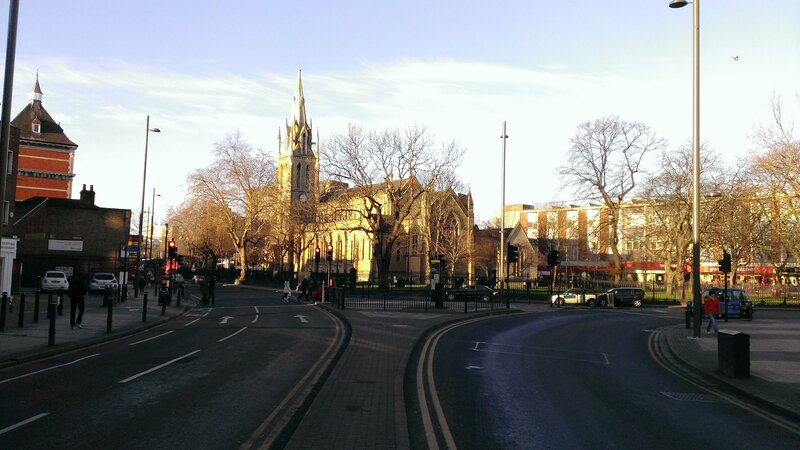 HTC aren’t often renowned for its cameras but I’d say it’s a highlight on the 8X. You can find two full res images, one portrait and one landscape, here and here. There is also a 2.1MP front facer for video calls, which, unlike the equivalent on the iPhone, somehow manages not to stretch your face into an almost unrecognisable state. Given the amount of money Microsoft has spent on advertising Windows 8, Windows Phone 8 and the Surface, I was expecting big things and, ultimately, I was left disappointed. Despite being simple to navigate and operate, i.e. accessing multi-tasking by holding the arrow, it isn’t as responsive as it should be. Freezing and lag are common occurrences. 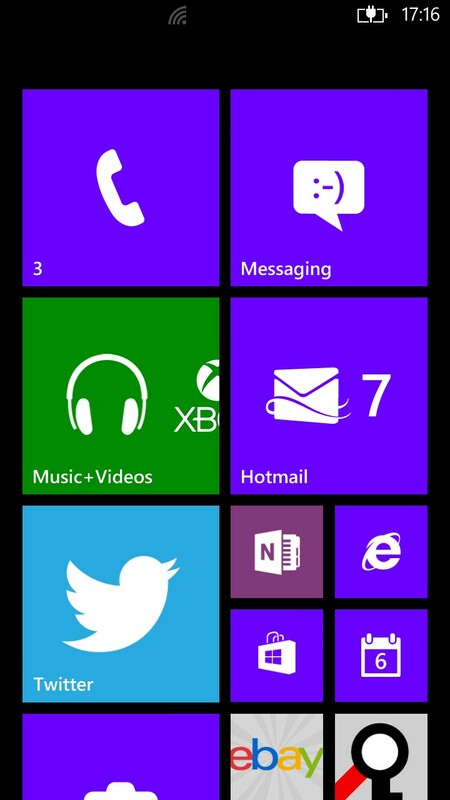 There is no doubt Windows Phone 8 is an improvement, an evolution and a stand of independence. 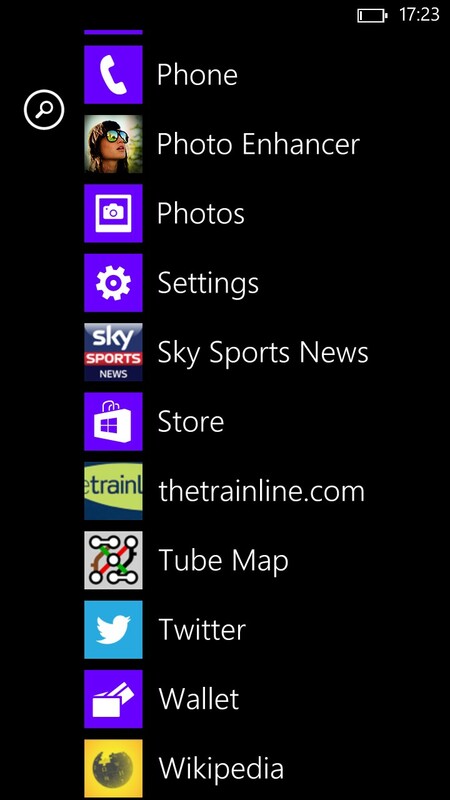 However, I don’t believe the live tiles (as fun as they are to customise and change colour) offer enough functionality to tempt Android users away from their devices. As an OS, it feels polished, yet somehow still not fully complete. To me, the main appeal is that it’s different to iOS and Android. Not better, just different. With all the fancy widgets, add-ons and advancements knocking about today, people often forget that the primary use of a smartphone is a voice communication device. Thankfully, HTC have not forgotten and have put time into ensuring the microphone is placed in the optimum position and is further boosted by an active noise cancellation feature. Perfect for walking around a busy street. My biggest gripe with my iPhone is the battery life. A day I leave my flat without a charger is a day I end up contactless from the afternoon. Nokia, famed for battery life (granted that’s not hard when the 3310 is your flagship device), set a solid mark with the Lumia series and you won’t be surprised to hear that HTC fell short of that. Though it beats an iPhone I was expecting the juice in the 8X to stretch a bit further. A day of medium use and a night’s sleep on airplane mode is the most you can expect to get. Despite a few negatives, add a few more thousand apps to the market place and I’d buy one without a second thought. The aesthetics, quirkiness and simplicity of the OS, collaborative possibilities and camera are more than enough to sell the HTC 8X to me. That said, if you asked me if it was better than a HTC One X, or iPhone 5, I’d be lying if I said yes. This is another phone that is all about personal preference but in terms of Windows Phones, this is the one I would pick, even over the Lumia 920. After a few weeks using this phone, I can say that the HTC Windows Phone 8X has an excellent design thanks to its curved lines and monochassis colorful body, which is also great to hold. The screen has one of the highest pixel density in the market and, while it is a little bit small for today standards, it should be big enough for most users. Performance in applications and games is excellent, and Windows 8 interface moves smoothly thanks to the Snapdragon S4 dual core processor at 1.5GHz and 1GB of RAM. Unfortunately the internal storage is quite limited with only 16GB. 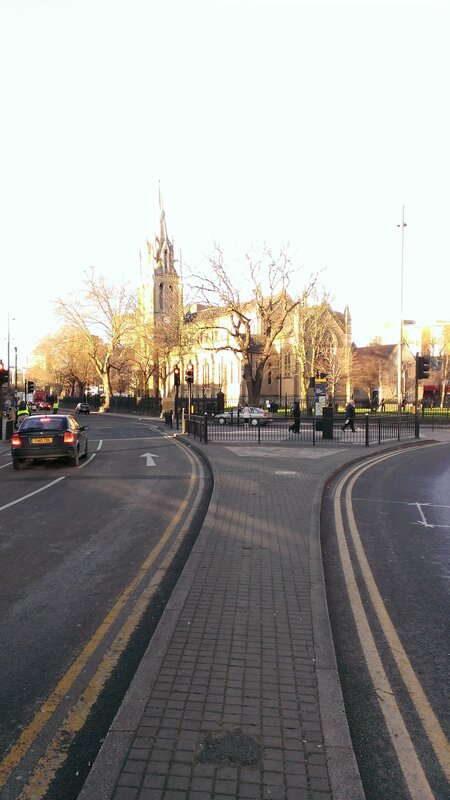 The camera performance is quite good, also not as good as the Nokia Lumia 920 in low light conditions. If you want to see a comparison between pictures taken by HTC Windows Phone 8X, HTC One X+ and Nokia Lumia 920 check this analisis del HTC Windows Phone 8X article (text in Spanish but pictures can be easily found) Finally, its price tag makes this telephone a very attractive option for anyone looking for a Windows Phone 8 device.